This antenna is best for: Mobile users looking for a low-profile through-roof antenna that works for GPS, WiFi, and virtually all 3G/4G frequencies. Ground Plane: Metal ground plane required. 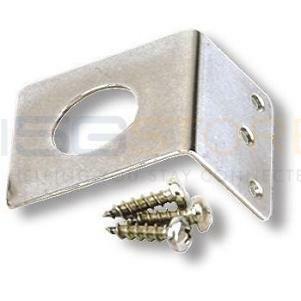 Mounting Requirements: This antenna requires that you drill a hole in the top of your RV/bus/coach to install it. Portability: This antenna is designed to be permanently mounted through the roof of a vehicle and is not portable. This improved my signal by only 2.5 dBm. Thought it would increase it by 3-5, but this may be my error. This antenna needs a ground plane at least 12 inches across to work with all frequencies. Normally this is supplied by the roof the antenna is mounted through. I mounted it on the elevated TV antenna on a motorhome. I fashioned a bracket from an L shaped piece of metal and ground plane from 6 pieces of 12 gauge copper wire in racial fashion. The antenna performs flawlessly in this application and when the TV antenna it is mounted on is lowered it has very low wind resistance, and still works well. My Airstream dealer and I, along with the wonderful support of 3G Store, decided this was the best antenna for my Wilson wi-fi booster. Although I have yet to see the benefits, I love the low profile of the roofline. I am really looking forward to seeing if I get a signal in my summer location up at 8,000 feet in the eastern Sierra. What 802.11's does it receive? b,g,n as well as ac? The Laird supports 2400-2500MHz, which is 2.4Ghz WiFi networks. This would be a/b/g/n but not AC, as AC is a 5Ghz standard. The specs say "Mounts thru metal surface". Does that mean is needs metal as a ground plane? Wouldn't work so well on a fiberglass RV roof? For the GPS,WI-FI,3G, will there be 3 different wires from the Antenna ? No. This antenna has a single connector, which you will connect 1 cable to. The antenna supports the GPS, WiFi and 3G/4G cellular frequencies, but not simultaneously.